The Asia Pacific Spinal Cord Stimulation Devices Market report gives a comprehensive outlook on spinal cord stimulation devices across the region with special emphasis on key countries such as Japan, China, India, Australia & New Zealand, Indonesia, Thailand, Vietnam, Philippines, Malaysia, and South Korea. The report on spinal cord stimulation devices market gives historical, current, and future market sizes (US$ Mn) on the basis of product type, application, end user, and country. This report studies spinal cord stimulation devices market dynamics elaborately to identify the current market trends & drivers, future opportunities and possible challenges to the key stakeholders operating in the market. In addition, the spinal cord stimulation devices market report includes the competition analysis with vividly illustrated the competition dashboard to assess the market competition. 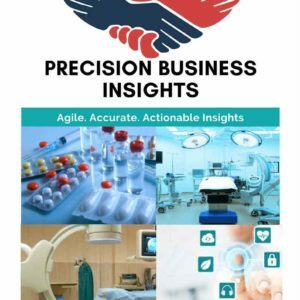 Moreover, PBI analyzed spinal cord stimulation devices market to better equip clients with possible investment opportunities across the regions (Country Investment Hot-Spots) and market unmet needs. Key stakeholders of the Asia-Pacific spinal cord stimulation devices market report include raw material suppliers, OEMs, spinal cord stimulation device marketers, hospitals, physician offices, policymakers, and healthcare service providers who are engaged in usage and advocacy of spinal cord stimulation devices. Asia-Pacific spinal cord stimulation devices market was valued around US$ 220 Mn in 2016 and poised to grow around 11% CAGR over 2017-2023.